Fashions are always changing, especially in knitwear; one minute everyone is snapping up all the bright, bold colours and the next it’s all about the naturals. We try to follow these changing trends to try and make sure knitters are able to get the shades they want for their designs. We frequently get asked about discontinued shades and recently decided to reintroduce a couple that were often requested by our customers: FC7 (orange) and FC11 (green). These are vital shades for blending in with others so have been a very popular addition to our 2ply Jumper Weight range already. We would love to be able to keep hundreds of shades but each one takes a lot of care and attention to make (not to mention a lot of space to store!) 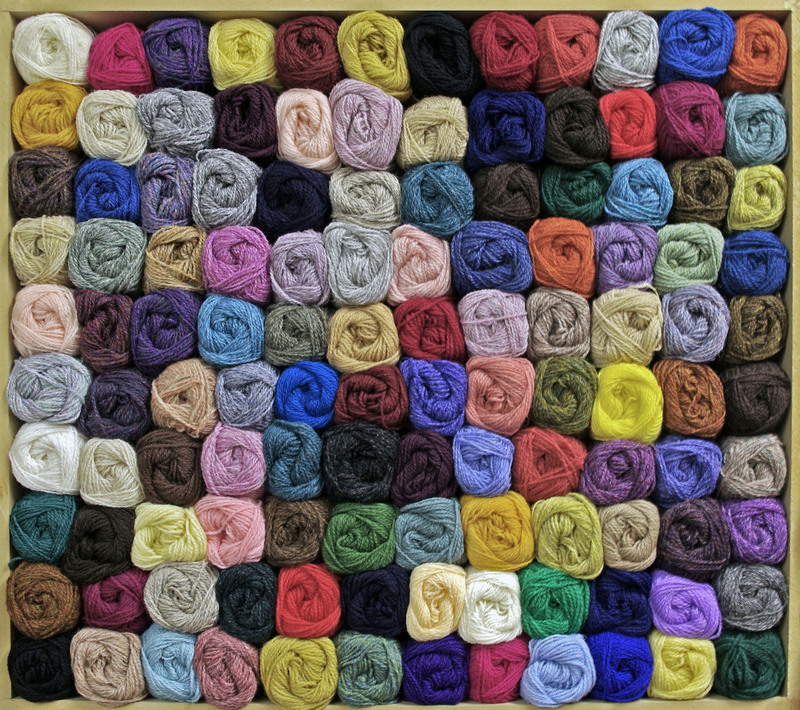 so we have managed to limit it to the beautiful shades we currently have, which are used in the creation of countless variations of knitwear. Besides there is only a limited amount of Real Shetland Wool available so we want to make sure we are using it wisely. We try to have a good relationship with our customers, as your views are so important in helping us continue to develop into the future. Re-continuing FC7 and FC11, which we are so glad to have back, is just one example of how we respond to your feedback. In the past few years our range has rapidly expanded with our Combed Tops, Cushion Filling, Shetland Supreme 1 and 2ply Lace, Shetland Chunky and Shetland Heritage being introduced meaning the shelves in our shop are now bursting with 10 yarn and fibre ranges in a huge variety of shades. These have all been developed through working with various organisations, with feedback from you, so please keep it coming and we will see what we can come up with next. Along with all our other 2ply Jumper Weight shades, you can find balls of FC7 and FC11 here and cones here.